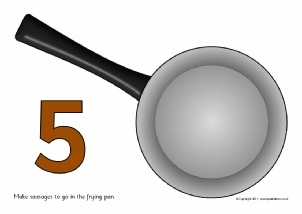 A colour printable banner for your ‘Counting’ wall display. 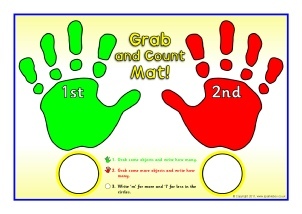 Printable desktop activity mats where children ‘grab’ objects with each hand and count to find which grabbed more/less. 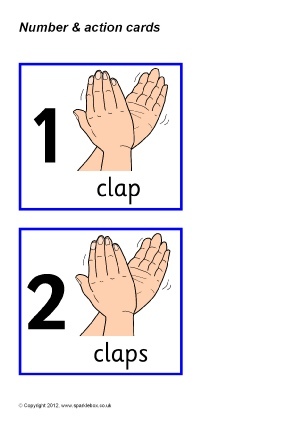 A set of printable cards with numbers from 1 to 10 and various physical actions such as jumping, clapping, tapping and hopping. 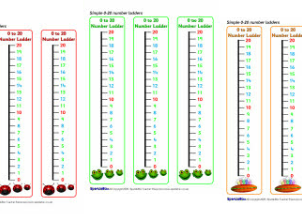 Pupils read the number and do the action the corresponding number of times. A set of printable playdough mats which you can be laminated. Children read the numbers and make apples for the tree, frogs for the pond, sausages for the pan, petals for the flower and spots for the ladybird. 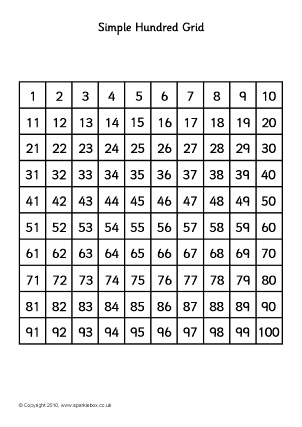 A set of simple number ladders with numbers 0-20. 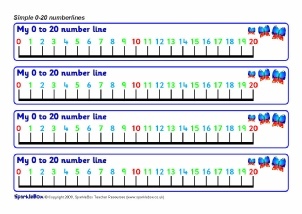 A set of simple number lines with numbers 0-20. 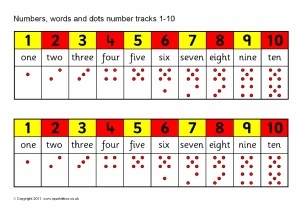 Colourful number tracks featuring numbers and words with dots from 1 to 10. 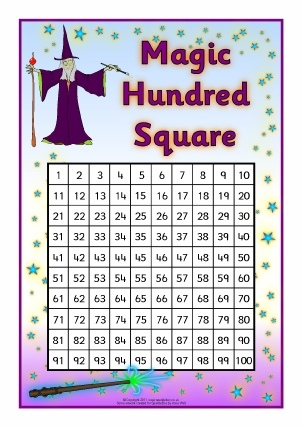 Print out and laminate these colourful hundred square sheets to use in all sorts of classroom activities. 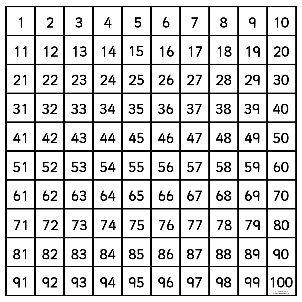 A simple printable hundred square for use with various Phase 6 activities from the DCSF ‘Numbers and Patterns’ publication.